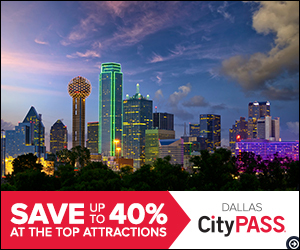 Dallas provides a wide variety of events during the month of August. If you are new to the area, be sure to put these events on your calendar. You are guaranteed to have fun and meet new people! 1. The 14th Annual Dallas Black Film Festival 2017. This popular annual event is scheduled for every three days August 11-19. Beginning at 8 pm, the event offers a variety of entertainment. Enjoy live music performances, classic films from the 20’s, 30’s, and 40’s, and a movie trivia contest. Presented by People with a Message Production Filmworks & Etc. Event venue is The Act of Change Institute of Cultural Arts. 2. UNITED (Fashion, Music, and People). If you’re new to the Dallas area, UNITED is a great event to network at this community event set for August 12. Make new friends as you enjoy different styles of fashion and live music. General admission is $25. VIP seating is $50 and includes front row seating, promo bag, 2 drink tickets, and hors d’oeuvres. Event venue is Lofty Spaces, located at 816 Montgomery St. in Dallas. 3. Hatch Chile Festival. The Grand Prairie Farmer’s Market invites you to get your hot roasted Hatch chiles at their annual festival on August 19. This free event features live music, great food, and much more. Shop locally made products such as fresh fruits and vegetables, tamales, jams and jellies, baked goods, grass-fed meats, and homemade soaps and candles. If the chiles leave you thirsty, a beer garden is available to refresh your taste buds! 4. Frontiers of Flight Museum Hosts Solar Eclipse Watch Party. The Frontiers of Flight Museum is the place to be Monday, August 21 for this rare event. On this day, the Sun, Moon, and Earth align to create a total eclipse. The path of “totality” (where the Moon completely covers the Sun), will only be along a line from Salem, Oregon to Charleston, South Carolina. In Dallas, which is south of the line, the Moon will still obscure 75% of the sun. The eclipse must be viewed with special eye protection. The first 300 museum visitors will receive a pair of “Eclipse Glasses” free with museum admission. The museum also offers a solar telescope with a special filter for safely viewing the eclipse. Don’t miss this rare event! 5. It’s a Jungle Out There. If you’re a fan of reality TV shows such as Survivor, Big Brother, and The Amazing Race, you won’t want to miss this event. Mix and mingle with stars of reality television shows while bidding on silent and live auction items. Enjoy dinner, an open bar, and dance the night away, all for a great cause. It’s a Jungle Out There benefits Cheer For Your Life, a nonprofit organization that empowers youth by providing funding for individual participation in clubs and programs. The event venue is the historic Granada Theater and ticket prices start at $150. If you are new to the area and looking to become involved or to support a local nonprofit, consider attending this fun event that benefits area youth. Bonus: The Dallas Arts District is the nation’s largest urban arts district. For an extensive list of attractions and events within the district, visit dallasartsdistrict.org. Wrap up the summer of 2017 with these fun August events. Watch some classic films, try some hot roasted Hatch chiles, view a rare solar event, and mingle with reality television stars while helping a nonprofit at the same time. Enjoy a fashion show and learn more about local products at a farmer’s market. All of these events are great ways for those who are new to Dallas to meet others and to become engaged in the community. For more information about the Dallas area, contact us.